Among the never-ending list of demands a bride faces, “looking fabulous” shouldn’t be the biggestchallenge. With enough preparation and some guilt-free pampering you’ll be on par to looking and feeling your absolute best on your big day. As your most prominent accessory, your hair gets a lot of attention and nothing compliments that dress like healthy, shiny tresses. Pamper your locks with a series of conditioning leave-in treatments for the best wedding day results. Refrain from making any last minute style decisions. Tempting as it may be, avoid any irreversible cuts or colours and stick to what you know, at least until after the wedding. The hair on your head isn’t your only concern. If you’ve got enough advance notice, now is the time to begin that laser hair removal treatment you’ve always wanted. Not your thing? A good leg waxing a week before the wedding not only rids you of unwanted hair, but also the stress that may accompany any wedding day stubble. Because this will be the happiest day of your life, your beaming smile will be front and centre. Whitening your teeth a few shades with effective toothpastes and strips is recommended but if it’s a more drastic change you wishfor, head to your dentist to discuss professional whitening techniques. So you’ve scoured the web for makeup ideas and you think you’ve chosen the perfect look. Have your stylist do a trial run to make sure you love itand that the colours compliment your skin tone. It’s also helpful to see how your preferred style holds up in certain conditions such as a breezy outdoor ceremony at a countryside wedding venue or humid church. Staying hydrated is one proven way to maintain beautiful glowing skin. Be sure to drink lots of water during the entire wedding planning process and on your big day. Prior to your wedding day, make aconcerted effort to reduce the sodium content in your diet. Salty foods and others high in sodium can cause major bloating, a possible setback for fitting into that flawlessly tailored dress. At the beginning of the wedding planning process is as good a time as ever to start that exercise regime you’ve been considering. Hiring a personal trainer will help immensely in creating the ideal routine for your body and fitness goals. Of course you will get a manicure and pedicure for your wedding day, but getting regular treatments for the few months leading up to the event will ensure your hands will look their very best for all of those ring photos. As stressful as planning a wedding can be, one piece of advice stands out above all the rest for preparing your mind and body: get a good night’s sleep. Not simply the night before, but throughout the entire process. 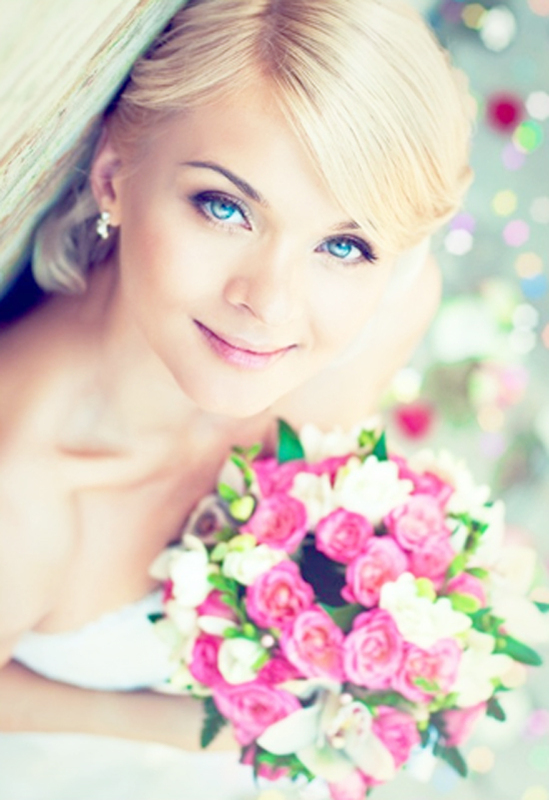 Starting a health and beauty routine early is key in preparing for your wedding day. Your hair, skin, and body deserve just as much attention as your floral arrangements and seating charts. Through a few small adjustments you will be on track to being the stress-free bride you deserve to be.